"Abstracting gospel, folk and blues roots, Sharrock did with the voice what John Coltrane, Albert Ayler, and Pharoah Sanders did with the saxophone: pushing beyond their natural range to find ecstatic new forms of expression." Ahead of her appearance at Le Guess Who? 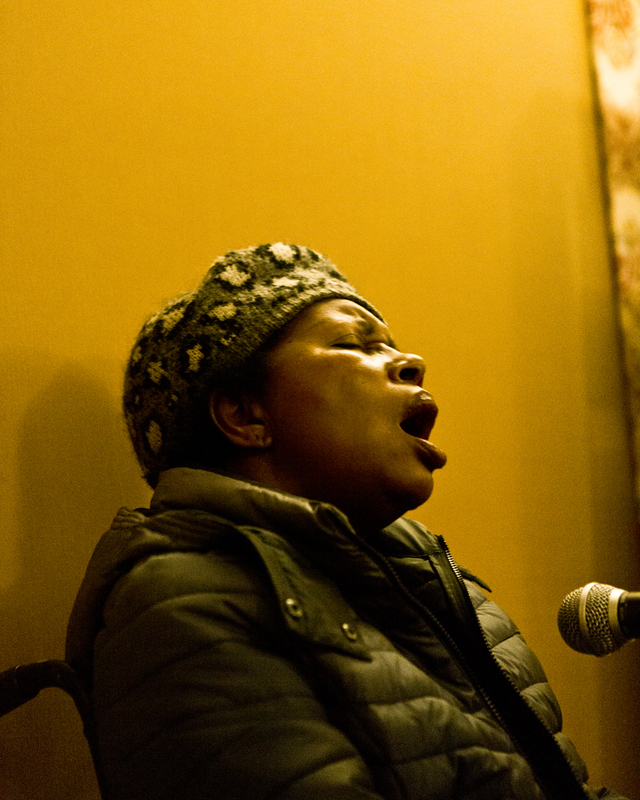 2017 this Sunday, The Quietus guides you through the music of expressive jazz singer Linda Sharrock, and speaks to her collaborators Mario Rechtern and Margaret Unknown about her return to music following a stroke. Read in full here. Linda Sharrock performs at TivoliVredenburg's Hertz this Sunday, as part of the program curated by Jerusalem In My Heart. Also performing that day are a.o. Sun Ra Arkestra, Shabaka & The Ancestors, Linton Kwesi Johnson, Matana Roberts, and The Ecstatic Music of Alice Coltrane Turiyasangitananda performed by the Sai Anantam Ashram Singers.